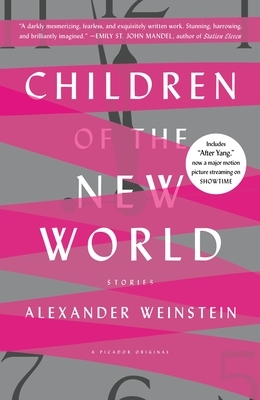 Children of the New World introduces readers to a near-future world of social media implants, memory manufacturers, dangerously immersive virtual reality games, and alarmingly intuitive robots. Many of these characters live in a utopian future of instant connection and technological gratification that belies an unbridgeable human distance, while others inhabit a post-collapse landscape made primitive by disaster, which they must work to rebuild as we once did millennia ago. In “The Cartographers,” the main character works for a company that creates and sells virtual memories, while struggling to maintain a real-world relationship sabotaged by an addiction to his own creations. In “Saying Goodbye to Yang,” the robotic brother of an adopted Chinese child malfunctions, and only in his absence does the family realize how real a son he has become. Children of the New World grapples with our unease in this modern world and how our ever-growing dependence on new technologies has changed the shape of our society. Alexander Weinstein is a visionary new voice in speculative fiction for all of us who are fascinated by and terrified of what we might find on the horizon. ALEXANDER WEINSTEIN is the director of the Martha’s Vineyard Institute of Creative Writing. Among his many publications, his fiction was awarded the Lamar York Prize and the Gail Crump Prize, has been nominated for the Pushcart Prize, and has been collected in the anthology 2013 New Stories from the Midwest. He is a professor of creative writing at Siena Heights University and a lecturer at the University of Michigan.